Our 12' Derby Pro-Line stall front kit is made in the USA! Our talented fabricators take pride in their work. This stall package mounts to the front of your support posts and includes everything you need. 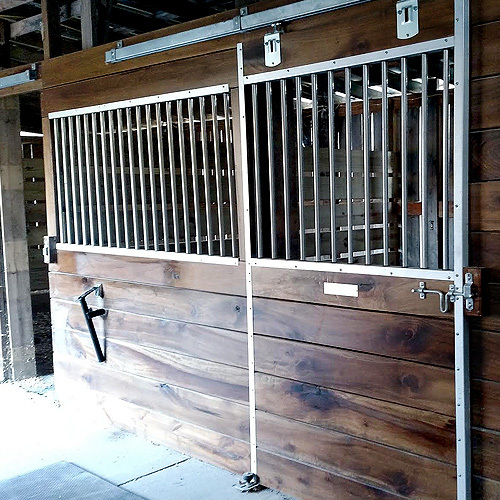 This complete 12' Derby Pro-Line horse stall front kit has good rust protection (non-corrosive) 1-year limited warranty and comes at an economical price for those on a budget. 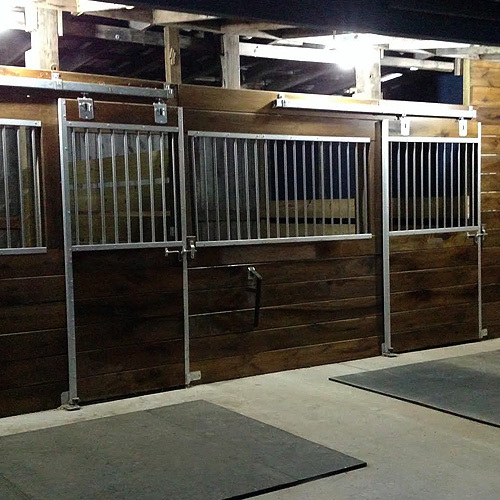 Many customers like these stall systems because they can install them themselves on the weekends as a DIY project. 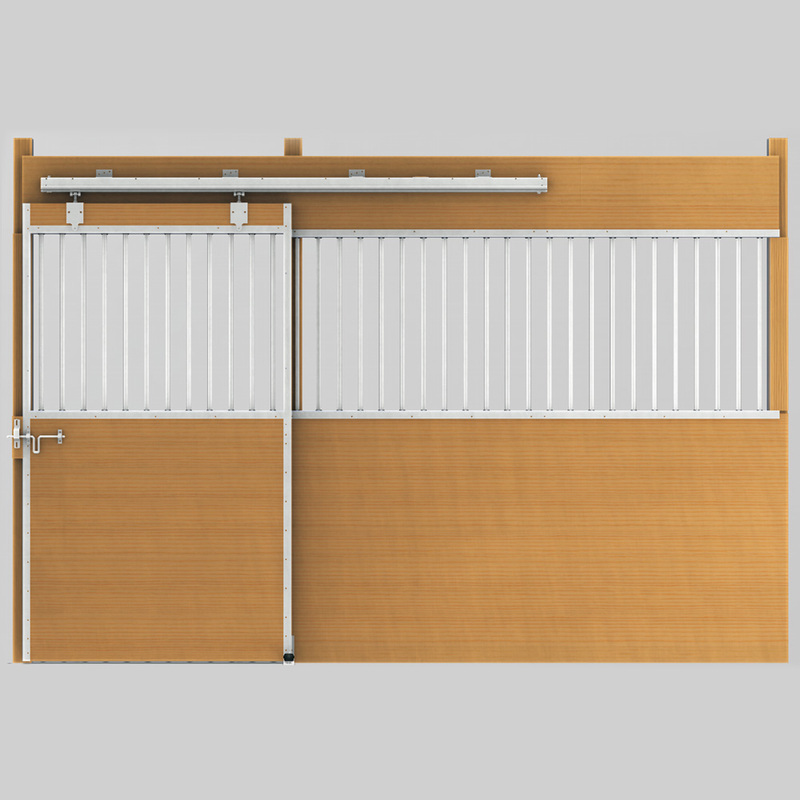 The kit comes complete with the door, stall front, and a Premium track hardware assembly kit. They also come with 7/8", 16-gauge bars with 4" on-center spacing. 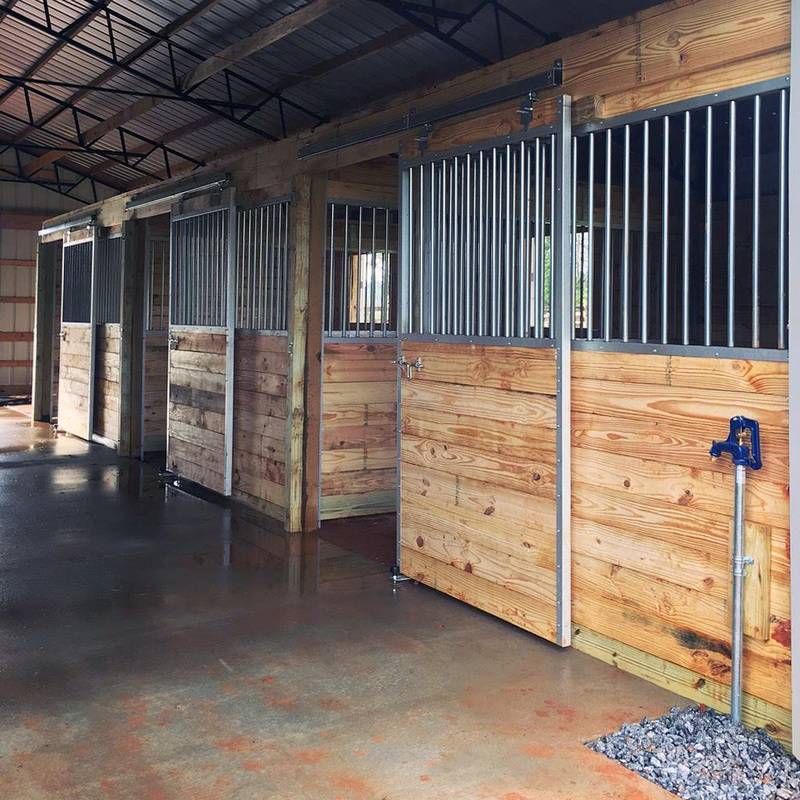 Screws are included with each stall front package as well as detailed instructions for a quick and easy installation. 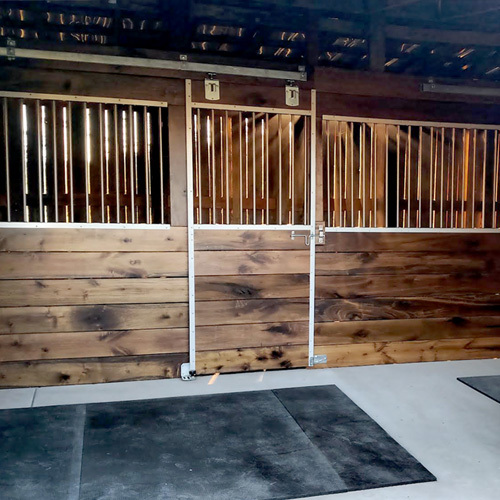 - "I put up one stall last weekend and it was a breeze and looks great." - "I couldn't believe how fast we got our shipment. Most of the other companies we shopped had a 3 to 4 week lead time." 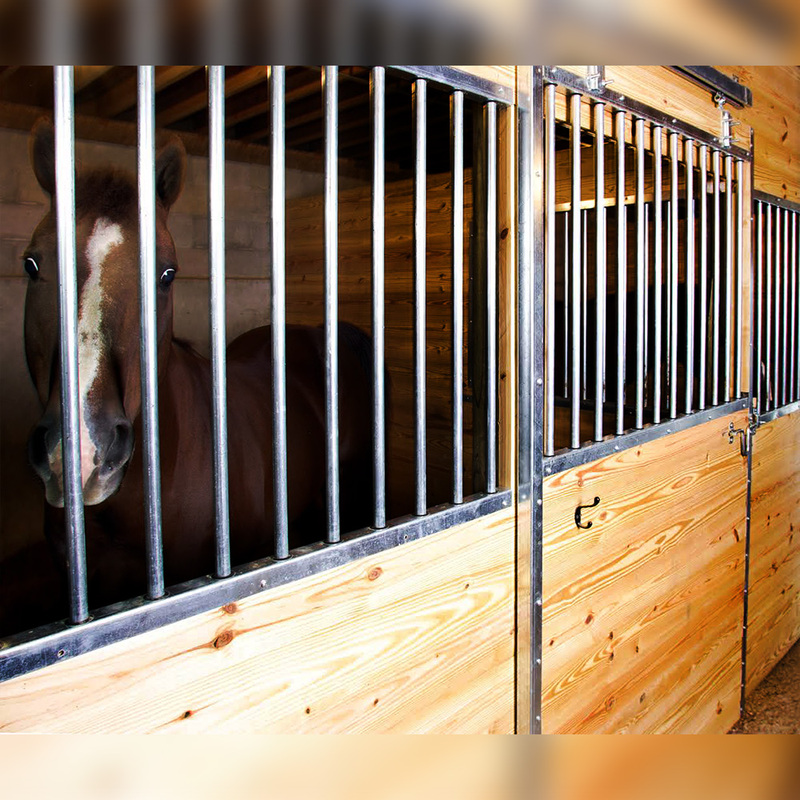 Floor to Top of Header (Using Board Per Instructions): 96½"
Floor to Bottom of Bars: 47¾"